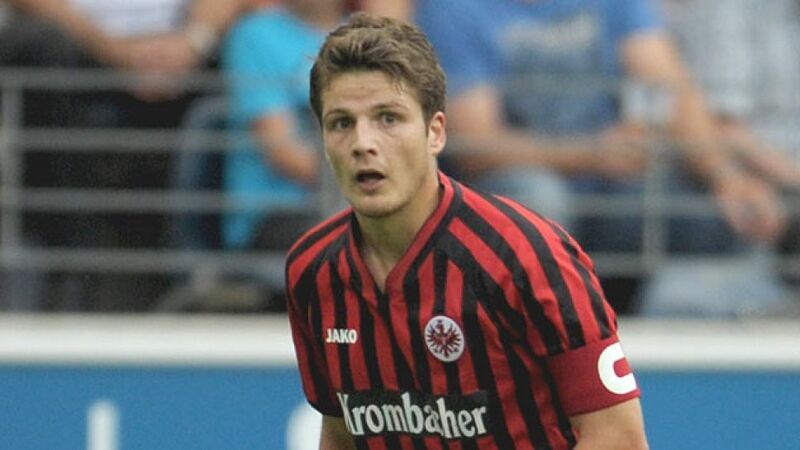 Frankfurt - Pirmin Schwegler has been through it all with Eintracht Frankfurt. The Swiss midfielder suffered the heartbreak of relegation from the Bundesliga in 2011 and the ecstasy of returning to the big time the following summer. Yet already the latter has been almost forgotten and arguably eclipsed by the euphoria that has now gripped the high-flying Eagles. Following Tuesday evening's thrilling 3-3 draw with champions Borussia Dortmund, Frankfurt remain unbeaten on 13 points after five league games, equalling 1. FC Kaiserslautern's best-ever start to a Bundesliga season by a newly-promoted side from the 1997/98 season. Club captain Schwegler was one of the team's standout performers, turning in a display his coach Armin Veh described as "sensational". Speaking to bundesliga.com, the 25-year-old now reflects on a memorable night and a new campaign that seems to be getting better every week. bundesliga.com: Pirmin Schwegler, could you as a team have ever dreamed of taking 13 points from your first five games of the season? Schwegler: Well, (exhales deeply), I'm speechless. bundesliga.com: How did you manage to turn the game around in the second half [after trailing 2-0 at the break]? Schwegler: At half-time the coach changed the system slightly, from a 4-1-4-1 to a formation with two men anchoring in midfield. That was how we got to grips with the game a lot more. bundesliga.com: What were the players thinking in the dressing room at half-time? Were you at all tempted to think of the second half as a damage limitation job and just avoid conceding again? Schwegler: No, we just thought: we want to haul ourselves back into the game and show what we can do. We didn't want to settle for how things were. We might have fallen 4-3 behind, but could just as well have gone 4-3 up ourselves. We'd rather a result like that than draw four games 0-0 - that isn't how we play. bundesliga.com: How important were the two quick goals early in the second half? Schwegler: They definitely helped a lot. After we changed the system, however, we were more solid as a team and the players really put in the hard yards. bundesliga.com: How do you keep the euphoria around the club right now under control? Schwegler: We just have to enjoy the moment and make the most of it. bundesliga.com: Was this result the best moment of your season so far? Schwegler: We've had some great moments already this season. At the end of the day you have to say, though, that the point was certainly deserved. bundesliga.com: After a performance like this against the champions, do you now say to yourselves: "We want to compete with the top teams in the division?" Schwegler: No, that's not how we are as a team. We'll keep our feet on the ground and just think about the next game. bundesliga.com: What does this result actually mean for the rest of the season? Schwegler: This game will do us a lot of good. The way we approach the next game at home to SC Freiburg will have to be similar to the way we played in the second half here.